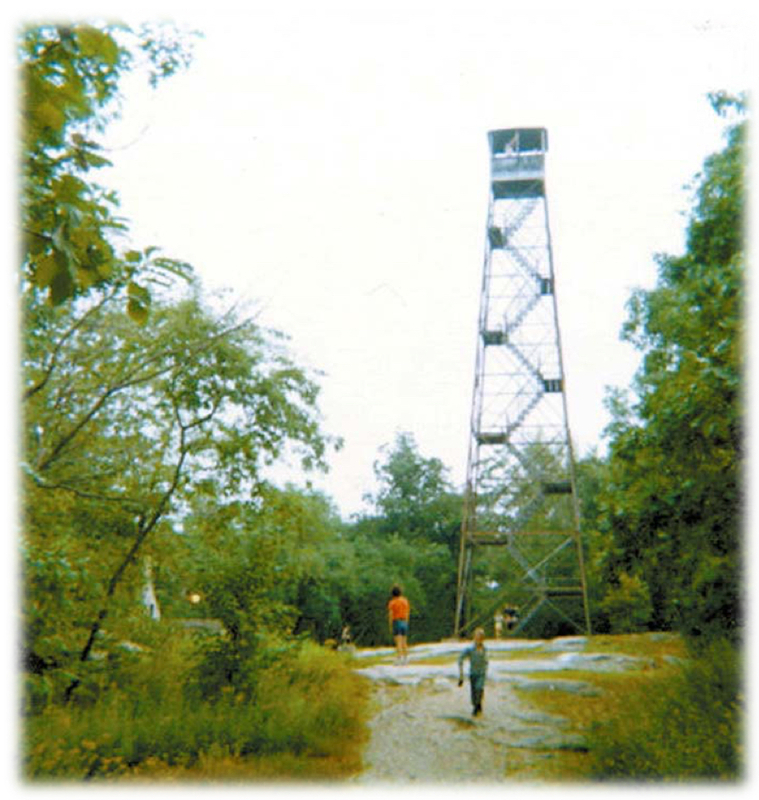 The Friends of Trailside Museum and Ward Pound Ridge Reservation has pledged their support for replacing the Cross River Fire Tower with the same model of tower that was removed in the early 1980s. They have put together this information sheet (the-beacon-flyer) with more information. The Raven Rocks Run is committed to supporting the Friends group, Ward Pound Ridge Reservation, and the Trailside Museum. Proceeds from the Raven Rocks Run will go to the Friends of Trailside Museum and Ward Pound Ridge Reservation to realize this vision and to support the mission of the Park. The tower, the only one of its kind in Westchester County, was a critical asset to the community as it served as a monitoring station for forest fires. According to a Westchester County government report from 1975 indicates that about 500 fires were reported from the tower between 1966 and 1968, with tower observers working with aerial support to pinpoint their locations. The view from the top of the tower was nearly 1000′ above sea level and afforded unobstructed 360 degree views including the Hudson Highlands, the Catskill Mountains, Long Island, and New York City. The tower also provided unparalleled views of the night sky. Run with us in the Raven Rocks Run Sunday November 15th, 2015. Become a member of the Friends of Trailside Museum and Ward Pound Ridge Reservation – you can join when you register for the race. If you can’t run you can go to the Membership page and join. Contact the Friends of Trailside via email to find out how you can support the rebuilding of the Fire Tower. The Towns of Bedford, Lewisboro and Pound Ridge are on record offering their support for the rebuilding of the Fire Tower.